Neymar’s €222 million move to Paris Saint-Germain set a new transfer record less than a year after Paul Pogba moved to Manchester United for €105 million, leading to concerns that transfer fees are spiraling out of control. Maybe they are, but Neymar and PSG have little to do with it. 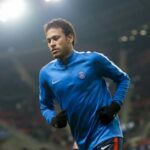 Neymar, by virtue of being Neymar, is worth a record amount of money; the market may have dictated his €222 million buyout clause, but the player himself is of bank-breaking quality. Though many try to claim that Neymar’s transfer stands out, it follows a pattern of recognizing players who are talented enough—and marketable enough—to be worth far more than the rest and attaching a price tag to them that matches this fact. 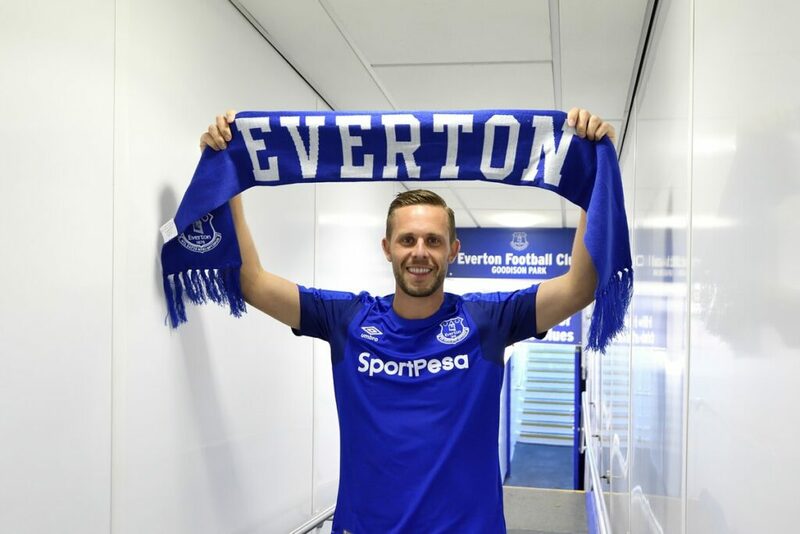 The transfer that sticks out in terms of leading the market into unchartered territory is Gylfi Sigurdsson’s £45 million move to Everton. Sigurdsson, by all accounts, is not a bad player. That being said, Everton’s record transfer—and the 10th most expensive transfer of the window (just above Leonardo Bonucci)—is probably not the 10th greatest player to have been sold this summer. Now clubs with players on par with Sigurdsson can claim their players are worth £45 million, too. Clubs, meanwhile, could not use Neymar as a reference point in terms of price because hardly anyone compares to Neymar. The only teams that can afford to pay those prices, at this point in time, are the “super clubs,” which is to be expected, and Premier League clubs, which is a newer phenomenon. Since a Premier League club is also setting the price in this instance, the argument could be made that it really is not a big deal. Yet, it presents a unique challenge to the global market that is soccer transfers, in that the Premier League market might be isolating itself from the rest of Europe. Twenty four of the top 50 transfers this summer involved players going to Premier League clubs. Usual high spenders Manchester City and Chelsea cracked the list a few times. Tottenham Hotspur brought in a record transfer of their own in Davinson Sanchez after paying Ajax £42 million. As a result of their shopping spree, Everton made the list four times, spending more than £144 million overall this summer, officially ditching their reputation of thrifty shoppers. There are correlations here to the increased price of English players in the Premier League. When the league forced a homegrown requirement on clubs in 2014, prices were driven up. John Stones joined Manchester City from Everton in 2016 for £47.5 million, cementing his status as the second most expensive defender in history at the time of his transfer. Manchester City, in particular, have acquired a healthy amount of English players both before and after the rule change. Yet, while he and Raheem Sterling, who cost £44 million, have featured heavily, the likes of Jack Rodwell (£12 million) and Scott Sinclair (£8 million) were benchwarmers. It has made it harder for the already reluctant English players to leave England, which, partly, was the Premier League’s intention. Though rotting on the bench, one can imagine, hardly factored into the decision making process. With the window now shut, it will be Neymar’s price tag that stands at the top, at least for the foreseeable future. 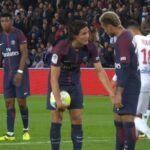 Perhaps, as Jose Mourinho suggested, “you are going to have more players of £100 million and more players of £80 million and more players of £60 million,” and Neymar’s sale will add to the mess that is the transfer market. The bigger uncertainty though, is the Premier League’s influence on rising prices, with an impact far more unpredictable than anything Neymar and PSG have caused. The prices Premier League clubs are dropping might become “unsustainable,” as Tottenham chairman Daniel Levy put it over the summer. “I don’t think that long term for any club it’s sustainable to spend more than you earn,” he said. “You can have periods where you do but over the long term you can’t.” That, of course, is a worst case scenario, in which a large group of clubs go belly up, something that seems difficult to accomplish with all of the cash coming in from television rights and other moneymaking opportunities. The general point that Levy is making, though, is that money is not infinite, though it may feel like it. And the big-spending midtable Premier League clubs might be faced with this fact sooner than Europe’s super clubs. Whatever the eventual impact of the rising player fees in the Premier League may be, it will likely hit the smaller clubs before the bigger ones, and then some difficult questions will have to be faced head on. Waiting to answering those questions when that time comes may prove to be scary.